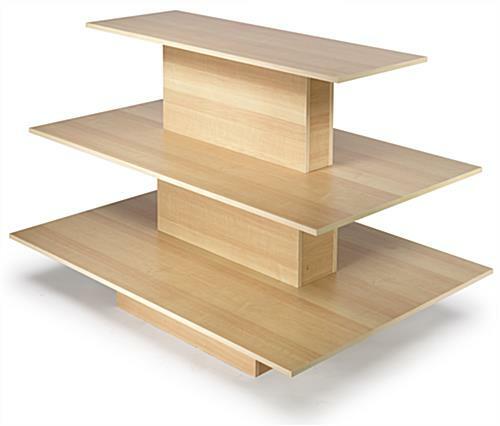 This 3-tier table is an attention-getter out on the sales floor! 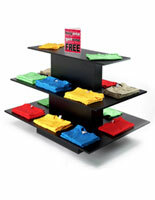 The three separate tabletops allow you to spread your merchandise out for a pleasant presentation. 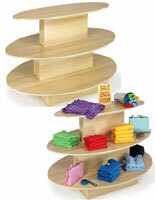 The 3-tier table can showcase clothes, handbags, shoes, and much more! 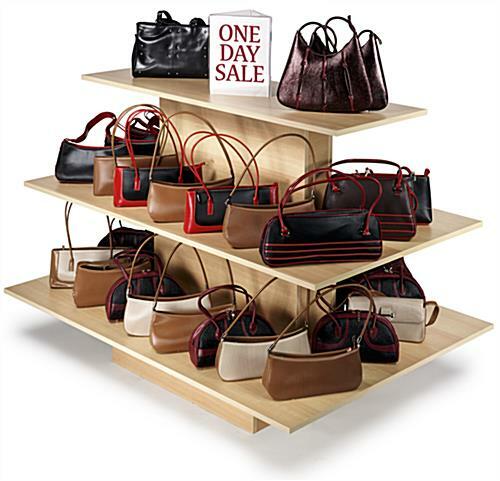 This fixture is best used right inside the door where incoming shoppers can view items on sale or the season's newest additions. The maple melamine laminate is light in color and provides warm style to your interior decor. 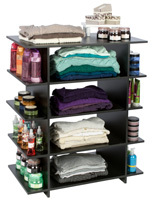 The unit is shipped unassembled. 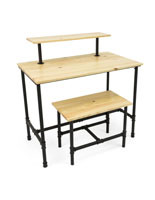 Assembly is pretty straightforward but we do recommend having a helper, due to the size and weight of the unit. 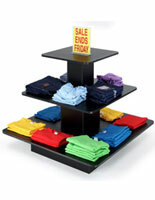 This 3-tier table provides lots of merchandising possibilities for the retailer! 42.0" x 42.0" x 60.0"